X-pressScan Printed Graphics are perfect for basic logos and text that do not require gradiations or shading. 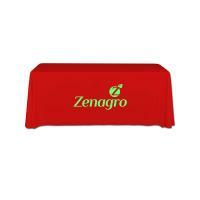 This heat transfer process is available in approx. 12 standard colors. Exact PMS color match is not available with this print process. 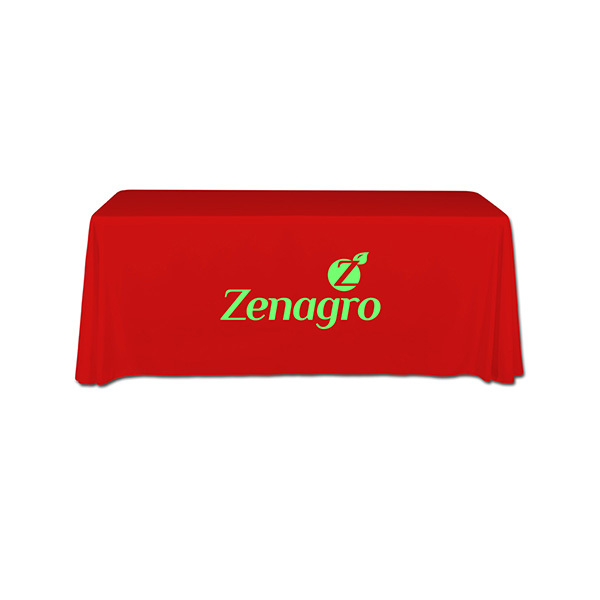 Image size for your custom printed table throw can be up to 42" W x 13" H. 3-Sided Economy Table Throws are open at the back, reaching to the floor on 3 sides. Twill Fabric is flame retardant and wrinkle resistant and machine washable. Proudly printed in the USA! 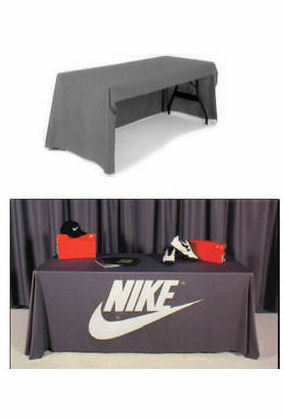 *The above prices are based on 30" high standard table. If you need a 40" counter height throw, or another custom size, please call us for a free custom quote. **For critical PMS color matching, please call us for silk-screen printing options.